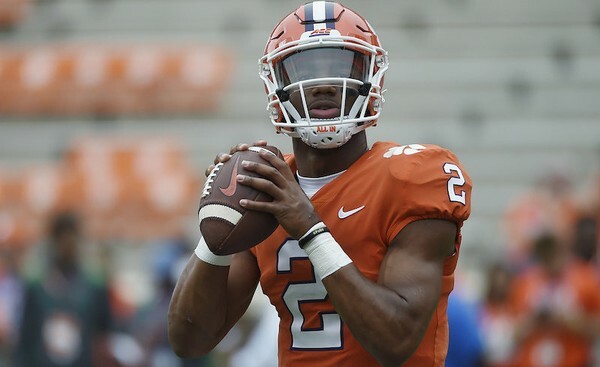 One of the first recruiting visits made by new UNC head football coach Mack Brown was to see former Clemson quarterback Kelly Bryant, who had announced his intentions to transfer from the program earlier in the season after losing his starting job to freshman standout Trevor Lawrence. Bryant visited UNC twice during the year and considered the Tar Heels among his top five options for next season. On Tuesday, however, Bryant revealed that he will instead take his talents to the University of Missouri. In addition to UNC, he had also considered Arkansas, Auburn and Mississippi State. During his time at Clemson, Bryant threw for for 3,338 yards, 16 touchdowns and 10 interceptions. He also rushed for 973 yards and 15 touchdowns. Last season also saw Bryant lead the Tigers to the College Football Playoff, where they were ultimately defeated by Alabama.